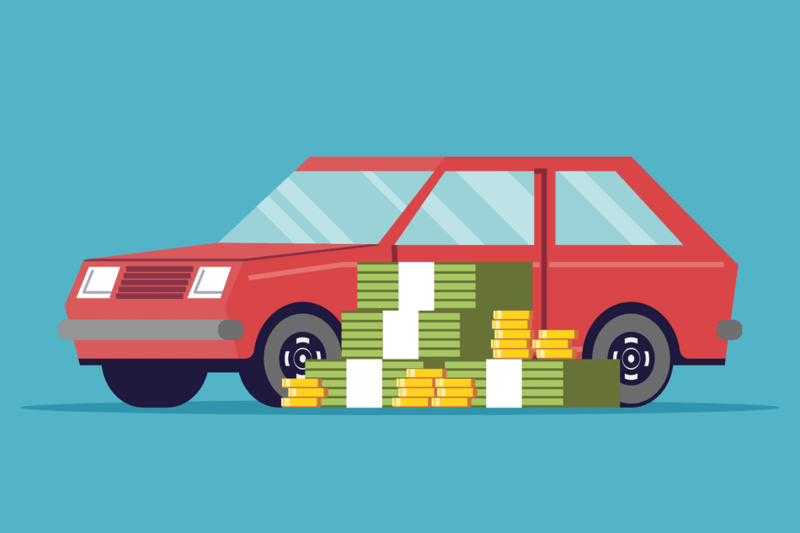 Paying off your car loan early comes with some major benefits. It takes a lot of discipline to pay off debt early. With willpower and determination, it can be done little by little. It can help your financial future for years to come. Interest on a car loan can add up quickly. It is easy to save money by paying your loan off early. The amount of interest you pay every month does decrease a little bit because your balance is going down. Use an amortization calculator to determine your savings. I like to use Bankrate's auto loan calculator. Fill in your info and click show amortization schedule. In the second to last column, it tells you total interest paid. Scroll down to the bottom and you will see the total interest paid. Now scroll back up to where it states "add additional monthly payment" type a reasonable number into it. Scroll down and see the total interest paid. Subtract this lower number from your original number and that will be your savings on interest. The calculator will also tell you your new payoff date. Example: A $15,000 car loan at a 7% interest rate would cost you $2821 in interest over a five year period. Add $50 a month to your payment and you would reduce your car loan by 10 months, and save $487 in interest. Cars do not last forever. One thing for sure is eventually you will have to make another purchase. If you start saving all or at least a portion of the amount you would have been paying in monthly payments to your recently paid off loan, you can have a sizeable down payment ready to go when the time comes. Once your car loan is paid off, you can reevaluate your car insurance coverage. If you have paid for your vehicle through financing, lenders require you to pay for full coverage car insurance as well. Now that your car is paid off, you have options. Option 1: Keep your car insurance coverage as is. It may not save you money but if your vehicle is damaged in a car accident your car insurance can help repair the damage. Option 2: Remove collision coverage. Collision coverage is the coverage you need when you damage your vehicle and it was your fault. It can also potentially help when someone damages your parked vehicle. Collision ​coverage is often the most expensive coverage. Take a look at your potential for an accident, how much your vehicle is worth, and how much the coverage costs. With all three of those pieces of information, you should be able to determine if the coverage is right for you. If you cannot decide, get some advice from your agent. Agents often do not tell you what to purchase but can offer guidance in the decision-making process. Option 3: Remove comprehensive coverage and collision coverage. Comprehensive coverage protects against fire, theft, vandalism, flying objects, deer, weather, and more. Removing comprehensive coverage would leave you with no physical damage coverage on your car insurance policy. A good debt to income ratio, also known as a low debt to income ratio, is important for your financial health. It can make a big impact on your future purchases. Lenders for major purchases like home and auto loans calculate your debt to income ratio to determine if you can afford more debt. Paying off debt lowers your debt to income ratio. It can also help improve your credit score. Love living in the land of the free? Kind of hard to enjoy it when you can not go anywhere because all of your money is locked up in loan payments. Debt is so restricting. Paying off your car loan will open up a lot of possibilities for you and your family. A five-year loan is really too long for a depreciating hunk of metal. It is easy to find yourself owing more than the vehicle is worth if you are not trying to speed up your pay off. Ever get into a major accident or decide you want to sell and you will have to pay a big lump sum to cover the difference. When Should I NOT Pay Off My Vehicle Early? Let’s say you have a really good interest rate on your car insurance loan of $10,000, never carry balances on your credit cards, and plan on keeping full insurance coverage on your vehicle. You happen to have the good fortune of receiving a check in the mail for $10,000. Should you pay off the loan? In most cases, yes. You’ll be saving the amount of your interest in the long-run. But if you can find an investment that has a good chance of a higher payout, like the stock market, it might make sense to park your money there instead of rushing to pay off a loan that comes with pretty good terms in the first place. What Does it Mean to be Upside Down on a Car Loan? What is That Car Really Going to Cost You?